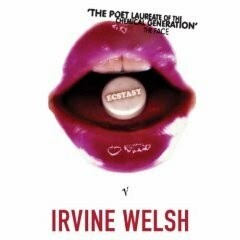 Ecstasy the film based on the book by Irvine Welsh is looking for bands and artists to submit music for consideration to be included in the film and soundtrack. ECSTASY is a dark romantic comedy, based on the controversial book, "Ecstasy", by Irvine Welsh. "Ecstasy", was translated into 20 languages and was a number one bestseller in over 20 countries. Mr. Welsh's first book, "Trainspotting", published in 1993, (and voted by Waterstone, Europe's largest bookstore chain, as one of the Ten Best Books of the Century), sold over 1 million copies in the UK alone, and has its own Cinematic Cinderella success story. The film shoot in Canada and Scotland is directed by Rob Heydon, acclaimed director of music videos and commercials. Cast includes Kristin Kreuk, Billy Boyd, Alex Lifeson, Carlo Rota, Dean McDermott and Adam Sinclair. Other artists currently on the soundtrack include Paolo Nutini, SLAM, Bob Marley, Bedouin Soundclash, The Undertones, The Chemical Brothers and The Stone Roses and many others.